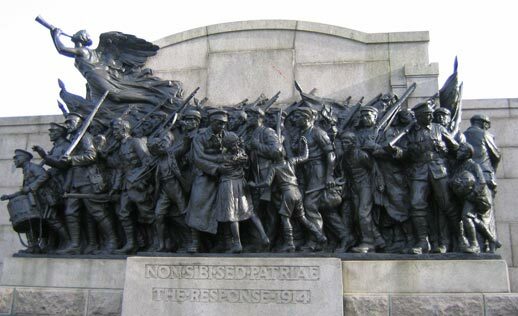 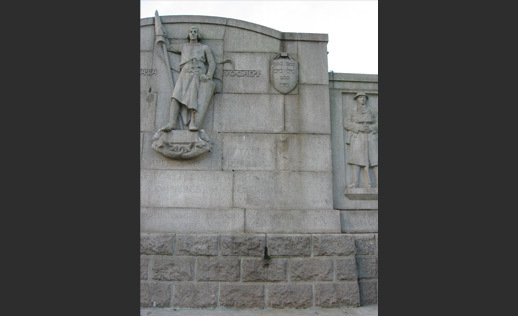 The finest bronze memorial in the City depicts the recruitment of men from the North-East to form a battalion of the Northumberland Fusiliers with a subtle transition from civilian to military and a lively sense of eagerness as the new troops press forward, urged on by the Winged Victory above. 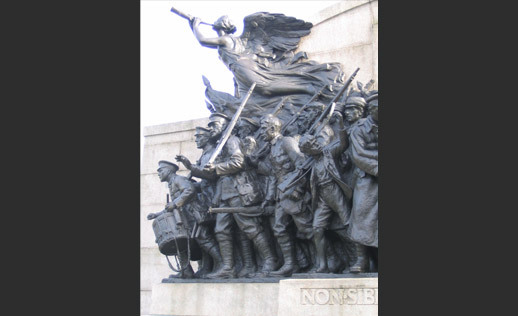 The bronze of ‘The Response 1914’ has been cleaned and refinished by a London firm of conservators and the grey granite steps and screen repointed. 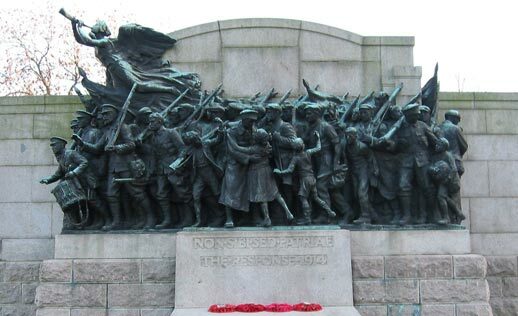 The memorial was rededicated by the Duke of Edinburgh in 2008 in time for the main civic Remembrance Sunday Services.